Here are videos from the Citizens Constitutional Caucus First Annual Multi-State Gathering, held Feb. 22-23 at the Hampton Inn, Cary, N.C. The goal of this meeting was to inform citizens about Constitutional issues and to develop a plan of action among caucus members. 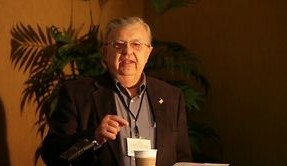 Glen Bradley – Multi-State Gathering – 2:23:2013 from Citizen’s Constitutional Caucus on Vimeo. Don Watson, Citizens Constitutional Caucus coordinator, explains the importance of membership in the CCC. Don Watson – Multi-State Gathering – Membership from Citizen’s Constitutional Caucus on Vimeo. Sonya discusses the effort to recruit Constitutional legislators. Sonya Holmes – Preview – Multi-State Gathering from Citizen’s Constitutional Caucus on Vimeo. Don O’Leary outlines his efforts opposing Agenda 21 implementation in Orange County. Don OLeary Orange County ICLEI from Citizen’s Constitutional Caucus on Vimeo. Diane Rufino outlines several Second Amendment preservation bills currently being considered in the General Assembly. 2nd Amendment Preservation from Citizen’s Constitutional Caucus on Vimeo. Larry Swanda, a Wayne County farmer, talks about work of the Farm, Forest and Property Protection Task Force. Larry Swanda from Citizen’s Constitutional Caucus on Vimeo.